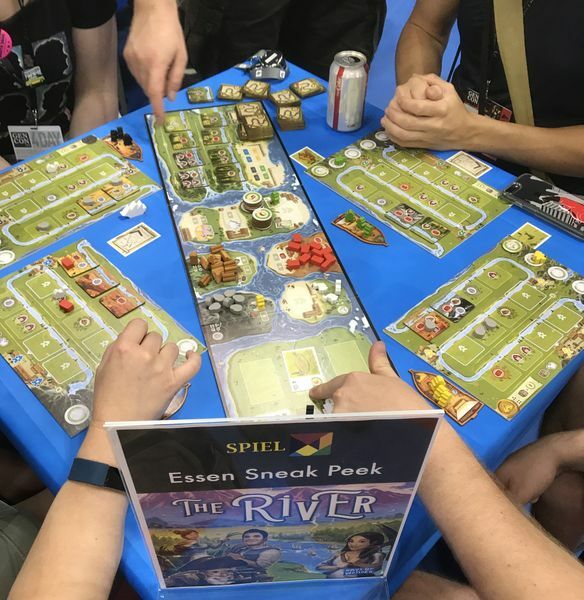 As we spool up to Essen, the announcements are coming! 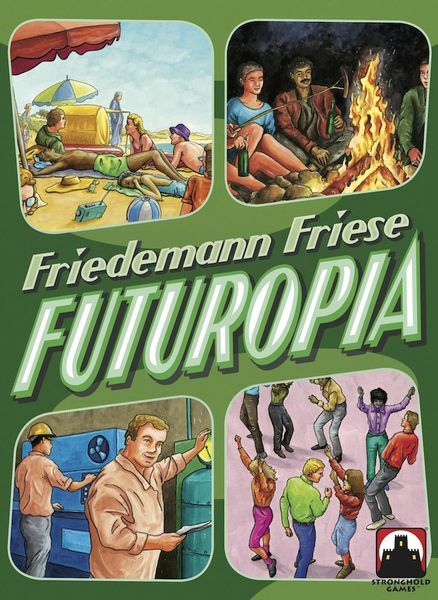 A new Stefan Feld, Days of Wonder’s latest title, and Friedemann Friese takes us to the future. The Forum Trajanum is to be built to last an eternity – the largest and most glorious forum the Roman world has ever seen – to celebrate Trajan’s role as Princeps Optimus, and to foster the well-being and fame of the honorable citizens of Rome. 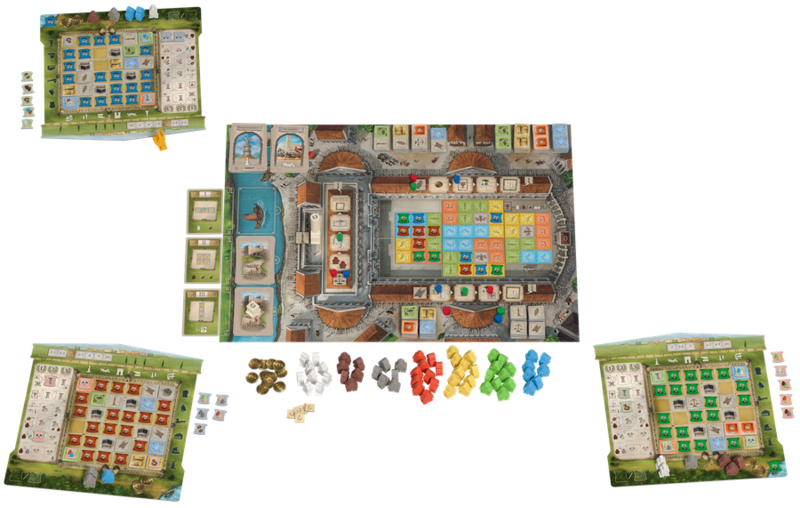 Forum Trajanum is a board game by legendary designer Stefan Feld where players are governers of the Colonia of rome. Develop your Colonia using a mix of tile placement and resource management, support the Emperor’s projects, and earn admittance to the Emperor’s inner circle. 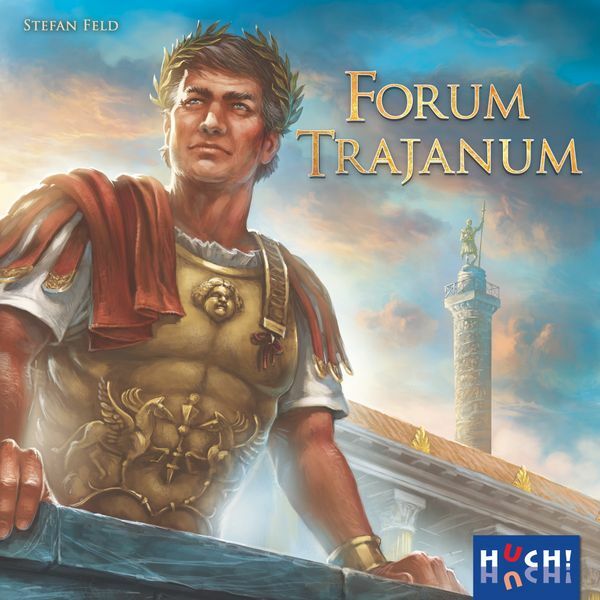 Forum Trajanum is available for pre-order right now on our store, due for a release around Essen. 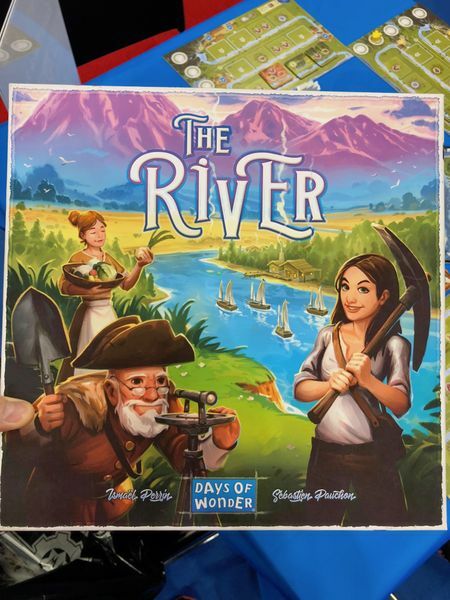 Days of Wonder’s game for 2018 is The River, a game of developing a riverside town. Co-designed by Jaipur and Jamaica’s Sébastien Pauchon, The River casts you as a mayor trying to build up their town, making it look nice and hoping not to lose too many residents to natural dangers or retirement along the way. The game will be available at Essen. Friedemann Friese’s games continue to be named after the sixth letter of the English alphabet as Futuropia takes us to a blissful future about robots, equality, and free time for all. Develop completely self-sustaining homes that generate enough food and energy to allow the residents the greatest possible leisure time. The more people who no longer need to work, the closer we are to reaching our goal! Boasting zero luck gameplay, Futuropia looks slick and will be coming – wait for it – at Essen. Endogenesis is a game about ascending to godhood set in a chaotic alien universe. Fight monster, use your powers, and choose from 40 skills and 5 classes to complete your apotheosis. These expansion decks for Unstable Unicorns also function as standalone games. Buy one? Buy both? Unicorn combat for ever! Infinities: Defiance of Fate is a 4X-lite game of branching storylines with free for all, co-op, and team play as you participate in a branching narrative and lead your faction to victory. Put your rabbits and hedgehogs to work as you construct new buildings, meet lively characters, and plan for the seasons ahead. Use worker placement and tableau building to increase the governance and prosperity of your corner of Everdell, gathering berries and recruiting the right squirrels to drive your city’s success. 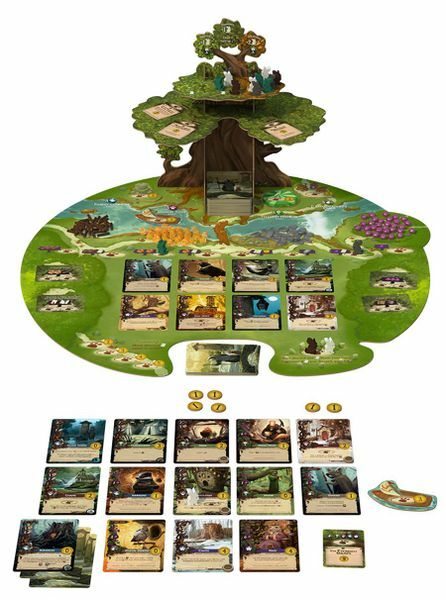 An accessible board game of stunning visual design and gorgeous components, Everdell is available in our store. Look for our review of Everdell coming soon!